Clutches, keep them in your. Have you spied the ones by LA designer Clare Vivier, and the more affordable ones made by American Apparel? 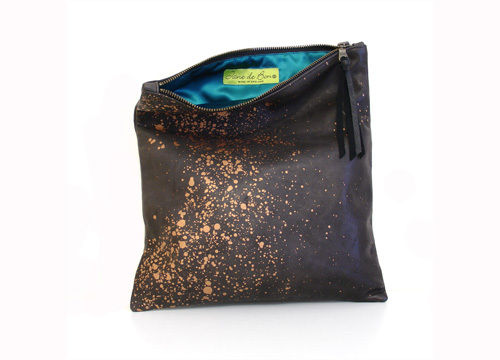 I love this one by Jane de Bono who has screenprinted this metallic splash onto leather. 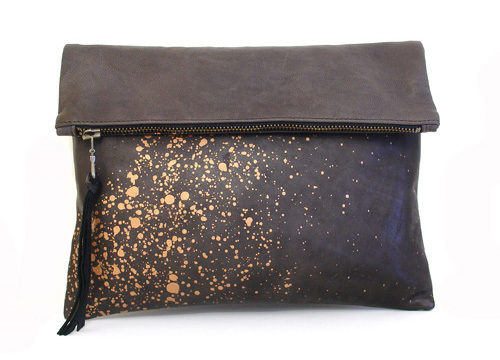 Clara clutch available in dark brown, green and tan, £85, size 11in by 11.5in. 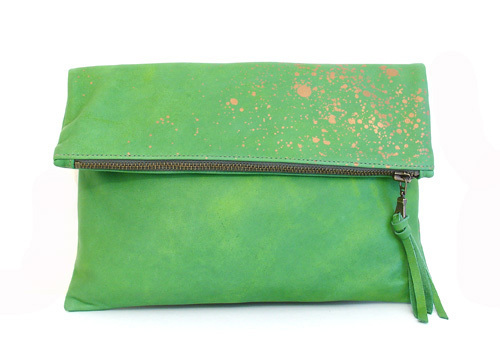 Check out Jane de Bono's website for her sale, now on.